Makarova has played very well this tournament. Every day it seems like she would crack but she did not, notably wasting Simona Halep in the quarters. She doesn’t fear the occasion, rarely pushes the ball and understands immediately when she has to go for it or knows when to wait for the right shot. The problem is: Sharapova is 5-0 against her and having beaten her in the Aussie Open twice and pretty easily. Maria doesn’t wait, but will immediately pound at Etkaterina until she is on her heels. That’s what happened when she eliminated Eugenie Bouchard, pushing her back from the get-go. Sharapova dictated every point, even if she misses some balls. All she needed to do was to handle her foe about 60 percent of the time and that was all good in the end. Maria will use the same strategy against Makarova, who will take some risks, but not enough to diminish Sharapova’s dominiance. Sharapova will win the semifinal in straight sets and reach the Aussie Open once again. 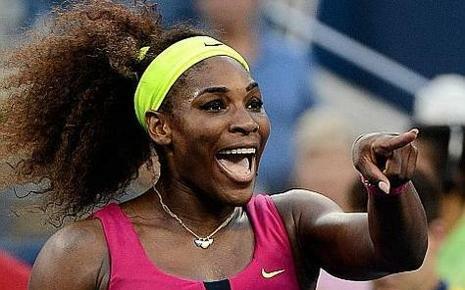 Serena is favored against anyone at this time, especially against a youngster like Keys. Ms. Williams is very sick do to a flu and Keys has her left leg all banged up. Still, someone will prevail. It depends who is feeling OK and who is not. However Serena has done this plenty of times. She knows the ropes and even when she has been feeling bad, she forgets about it and swings away. Keys did a good job of maintaining her pain against Venus Williams and out-hitting her. Her first serve is almost as big as Serena’s, and can slug her forehand about as well as Williams. But overall, Serena is just about better in every facet of the game. Maybe Keys will eventually get there, but William has the tools. Keys still has a lot to learn, while Serena in one of the most intelligent people around – ever. Serena will win in straight sets and face her foe Sharapova in the final. Who thought that Tomas would shock Rafa Nadal for the first time in 17 matches? I sure didn’t. The Czech played extremely well, jumping on the Spaniard’s backhand and coming into the net at the right times. Murray had better choose the right tactic or Berdych will get him again. Interesting fact: Berdych is 6-4 head to head, with wins in the last two matches in 2013 in Madrid and Cincinnati. For whatever reason, his serve and his forehand bother Murray. The Brit is very smart, but sometimes he gets irritated and loses his focus. He has to nail his first serve and try to hit his forehand with conviction. His backhand is better, as is his net play. He mixes it up, too. But when he was feeling good, Berdych can be patient until he gets the right shot and when he is ready, to boom his first serve. He can find the lines off both his first and second serves. The Czech can reach a Slam final for the second time, but he can become nervous and he will against Murray. Andy will win the match in five sets and reach to the final once again.